Widden Stud is a name synonymous with champion sires – Marscay, Vain, Bletchingly, Todman, General Nediym, Northern Meteor & Stratum – brilliant, tough, speed oriented horses that left a legacy of greatness for generations to come. With the emergence of young champion sires Sebring, Star Witness, Nicconi & Your Song the future of Widden being the source of Champion stallions looks assured. The current roster features an array of young sires with aspirations to greatness and the process that brought them to the Widden Valley is one that did not happen by chance. Once identified, the next task is the acquisition of a horse and quite frequently it’s not all about the money, but what a stud can offer in terms of quality of life for the stallion, opportunity to cover excellent books of suitable mares and ongoing marketing of the stallion and his offspring when they eventually hit the sale ring. 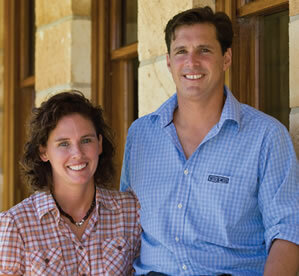 It is invariably a combination of factors that result in the purchase of a stallion prospect and Widden have been at the forefront of acquiring some of the best and most promising in recent years and have a unique ability at ensuring a young stallion is well patronised who establishes success from early on in their stud career. Geography and Mother Nature have bestowed tremendous natural gifts on Widden,but it is our valued team of staff who are the greatest asset of all. Dedicated horsemen and women from throughout Australia and all around the world come together at Widden to live, work and learn in the valley of champions. Providing a safe and happy working environment enables our team to apply the attention to detail required to care for high value individuals. Many of the leading farm managers and industry personnel can boast having worked at Widden and we pride ourselves on training and developing our staff under the guidance of enthusiastic managers with decades of experience.Our loyal team of dedicated managers have been at Widden for many years ensuring continuity of management and a wealth of knowledge. Our team is focused on providing the individual care and attention to each horse ensuring each foal gets the best possible start in life, every yearling grows to its full potential and all the mares are cared for like they are our very own. Widden shares its clients’ goals. We celebrate your success. We understand the highs and lows of this challenging business.We value our clients as partners in our business and appreciate your comments and feedback.Widden enjoys good relationships with industry participants and as a wholly owned Australian farm we are dedicated to the future health of the Australian racing and breeding industries.We are actively involved on the boards of Aushorse Marketing,The Australian Thoroughbred Breeders Association,The Racing Industry Consultative Group and The Hunter Thoroughbred Breeders Association and feel we can contribute to our industry through these groups. Our aim as a stud master is to be fair to our clients in a way that is sustainable. We, like you, are breeders, understanding the nuances of this complex industry, and are subject to the ever changing fashions of the market place. As much as it changes there is one constant; good types of horses never go out of fashion and we rely heavily on the type of horse we breed as the cornerstone of our success. We hope when using our sires you will breed the type of horse that turns heads and succeeds both in the sales ring and on the track as ultimately your success is our success. Horses living at Widden receive a massive head start in life, reaping the benefits of being raised on superb pasture, provided with the expert assistance of an agronomist, combined with round the clock care from our resident veterinarian. 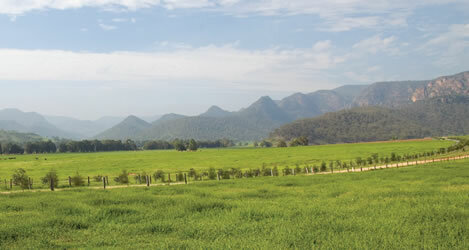 The Widden Valley comprises rich alluvial creek flats sheltered by magnificent sandstone cliffs providing a pristine and tranquil environment in which young thoroughbreds can thrive and grow in large paddocks. From conception, through foaling and on towards a yearling preparation and eventual sale, the team at Widden work as one to deliver the best outcomes for our clients and their horses. Our experienced bloodstock staff are always available to assist clients with any and all bloodstock matters ranging from pedigree analysis and mating advice, to sales planning, preparation and agistment, both long and short term. Acquisition of new stock is an important aspect to consider for all breeders with aspirations to improve their bloodstock portfolio and is an area in which our expert team is happy to assist. Widden is also an industry leader in terms of modern technology and communications with an outstanding website to facilitate distribution of news in the pursuit of building close and productive relationships with clients from all over Australia and throughout the world. As long as there have been thoroughbred yearling sales in Australia, Widden Stud has been in the business of selling young racehorses and after 150 years, we are still industry leaders. Whether a yearling is expected to make $20,000, $200,000 or $2 million, he or she receives the same level of care and attention, with results on the racetrack reflecting in the ongoing popularity of our yearlings in the sale ring. We are proud of the many champions we have bred, raised and sold that have begun their life, their most important time in their lives, in the Widden Valley. Our success not only continues but thrives. In the 2014/15 racing season, an amazing 10 percent of Group One races run in Australia were won by horses born and raised at Widden, and in 2015 five time Group 1 winner “Dissident” became the newest addition from Widden to be crowned “Australian Horse of the Year”. In the 2015/16 season, Widden was again the #1 vendor of Group 1 winners in Australia. From turf immortals such as KINGSTON TOWN & AJAX – Widden has been the birthplace for countless equine champions and we take great delight in continuing to produce thoroughbreds of the highest calibre. The famous Widden ‘JT2’ brand, established over a century ago, is recognised the world over as mark of attention to detail & the promise that every foal born at Widden is given the best start in life.